From February 18-21, The American Cinematheque put on an Elia Kazan retrospective at the Egyptian Theatre in Hollywood. This past Saturday, I met up with my friend Mark and his friends Will and Jay for dinner at the French Quarter restaurant in the French Market in West Hollywood. We talked of films and politics, book projects and my upcoming trip to London for school. Afterword, three of us went over the Hollywood for a double bill of Kazan’s Baby Doll and A Streetcar Named Desire, both starring Karl Malden, and both based on Tennessee Williams plays. Baby Doll was a film I’d only seen bits of pieces of on TCM. It was quite a racy little number. In between films, there was a Q&A session with Carroll baker, the lead actress in Baby Doll, which was really interesting. Then, it turned out Oscar-winning actress Patricia Neal (Hud) was in the audience! A lot of people crowded her to get her autograph. Millie Perkins, star of the 1959 film The Diary of Anne Frank was also there. I love when remaining old celebrities come out of the woodwork for these kinds of events. Only in Hollywood! My main reason for attending the screening was to see A Streetcar Named Desire on the big screen for the first time. It has been one of my favorite films since I discovered Vivien Leigh ages and ages ago. This is such a powerful movie and Vivien is a tour-de-force as Blanche. Much like her first turn as a southern belle in Gone with the Wind 11 years prior, Vivien’s Blanche absolutely steals the show. It seems to be the general consensus among a lot of people that Marlon Brando is the one to watch in this film, but not so. Seeing it in the theatre, when one is forced to pay attention, it is easy to see that the heart and soul of the story is Blanche, and the heart and soul of the film is Vivien. She and Brando have great onscreen chemistry, but it is Vivien’s wounded butterfly that demands the most attention and sympathy. 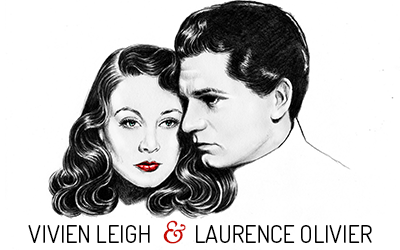 Vivien first played Blanche on the London stage in 1949, where she was directed by Laurence Olivier. At the same time, Marlon Brando, Kim Hunter, Karl Malden, and Jessica Tandy were being directed by Elia Kazan on Broadway. When Vivien was offered the role in the film due to her commercial appeal, she is reported to have had initial difficulty integrating herself with a cast of Method actors, and she and Kazan often disagreed on how they thought Blanche should be portrayed. Some regard Streetcar as the best thing to happen to Vivien’s career, while others (mainly those close to her) regarded it as the biggest mistake due to her own mental problems, which were beginning to get out of control around the time Streetcar was filmed. Whatever the case, it is without a doubt one of the best screen performances of Vivien’s career, and one of the best screen performances in film history (*author’s opinion). What I’ve always loved about Streetcar is that this is a film that relies solely on the strength of the actors’ performances, our attention is always on the characters. I guess this is why three of the four leads won Oscars, there was little to no room for not being up to perfection in this film. Streetcar is a sad film that is pretty tough to watch sometimes (not because it’s boring, but because it’s harrowing seeing a person descending into madness). Kazan gets laurels for making it a great artistic achievement, and the cats gets cheers for being AMAZING. If you love films, or Vivien Leigh, or anyone and you have yet to see this movie, please do. It ranks among the best. This review was terrible. Apologies! God, I need to rewatch Streetcar. I own it, but haven’t watched it since I bought it. That Baby Doll story is crazy & awesome! I’d never heard of that film until very recently, but I really want to see it. I really love Karl Malden. This is a random aside, but my town is playing Gone with the Wind on the big screen for a week in the spring. Immediately thought of you when I heard about it. :) I’m really excited to go see it, since I’ve only seen it once, and it was ages ago. The Viv`s characters is SUPERB!! I crush on her acting when I watched A Streetcar. I like your review. Thanks! I love how you write about her. I discoverd Vivien Leigh some months ago. One day I decided to watch all films by a Leading Woman in a Oscar performance. I came to ‘Streetcar’ and i fall in love with this wonderful woman and her films and her incredible story. Since that day, I can not calm myself down and am sad that she been only in 20 movies. Of course, nobody takes a theater piece on tape, i would pay a lot of money for that. At any rate, your site is wonderful and its improving for me. Thank you for that. Tricia–Oh! GWTW on the big screen is THE BEST! have fun!! Baby Doll was interesting and as said, super racy for the 1950s. Bea–She is superb in that film! Tan–Thanks :) I’m sad she was only in 20 films as well. Welcome to the fan club! I toured Europe with Laurence Olivier and Vivien Leigh when I was 14, in Titus Andronicus, which I wrote about in my autobiography “Flashback”, and I have now read this as an audiobook and MP3 download for Spoken-Network. 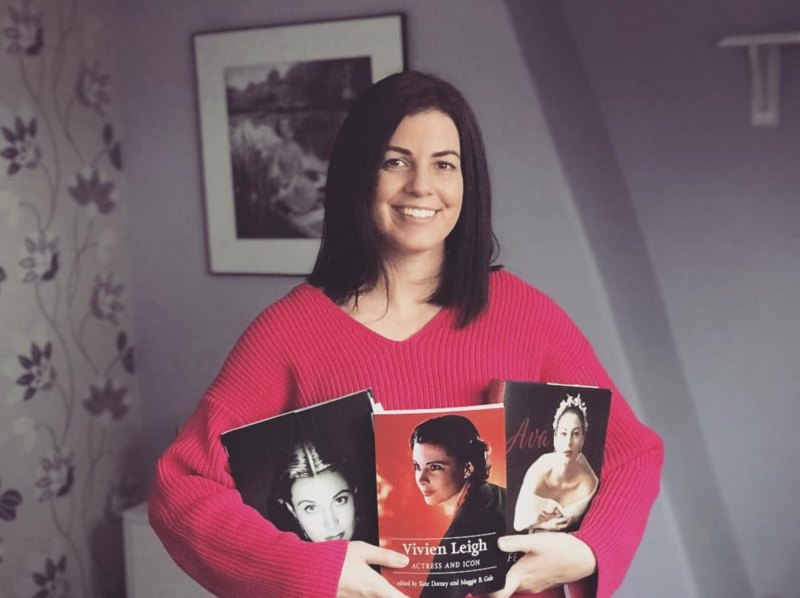 Some of my recollections of Vivien Leigh are quite outrageous, but she was wonderful and everyone loved her, including me. I am a great fan of Vivien Leigh she was a much better actor than ever given credit for i think. She was the wife of one of the world’s greatest actors Laurence Olivier and when they had a partnership together not just as man and wife their acting alliance was world famous and they did many plays together including Shakespeare on the stage both in Britain and abroad such as places like Australia which they visited in 1948 with the Old Vic company. Vivien’s Leigh performance in the film of Streetcar named Desire was amazing she really took on the whole persona of Blanche i think. It was not such a surprise she won an oscar for her part in this production. I think that Jessica Tandy of (Driving Miss Daisy) fame was the first woman to play the part on broadway, but most of the other members of the cast also did the film Marlon Brando and Karl Malden etc as the article has said. I have seen other actors take on the part of Blanche on the stage in London including Jessica Lange but no disrespect to them they could not touch Vivien’s performance in my opinion. Problem was with Vivien Leigh because of her mental problems the persona of Blanche begain to take her over and she began to act and talk like Blanche perhaps sadly this particular part was to near Vivien’s own personality, i think Olivier was not keen for Vivien to do the part and i can see why he felt this and he knew maybe it would push Vivien over the edge which it did i have heard.